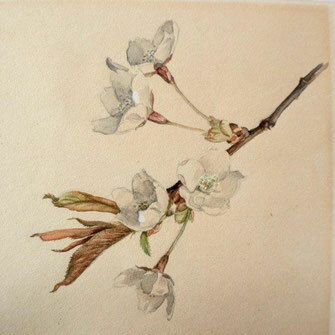 We are delighted to have Naoko Abe speaking upstairs at Sandoe’s on Collingwood Ingram (1880 – 1981), an ornithologist and plant collector whose obsession with Japanese cherries earned him the epithet ‘Cherry’. He travelled as a young man in Japan and was introduced to the ideas and displays of cherry blossom (sakura), but when he travelled there again in 1920s, by then a world authority on cherries, he was struck by profound changes in the planting of prunus – variety had been sacrificed for one cloned tree that had become ubiquitous for political reasons. On that trip Ingram saw an illustration of a tree that had become extinct in Japan, a magnificent cherry called the ‘Great White’, which he realised he had seen in poor condition in a Sussex garden. He perpetuated this glorious tree by cuttings and reintroduced it to Japan as well as perpetuating it in the UK. Ingram’s life was remarkable and Naoko’s book a revelation. To order a copy please click here. Booking essential – please email or telephone to reserve places.